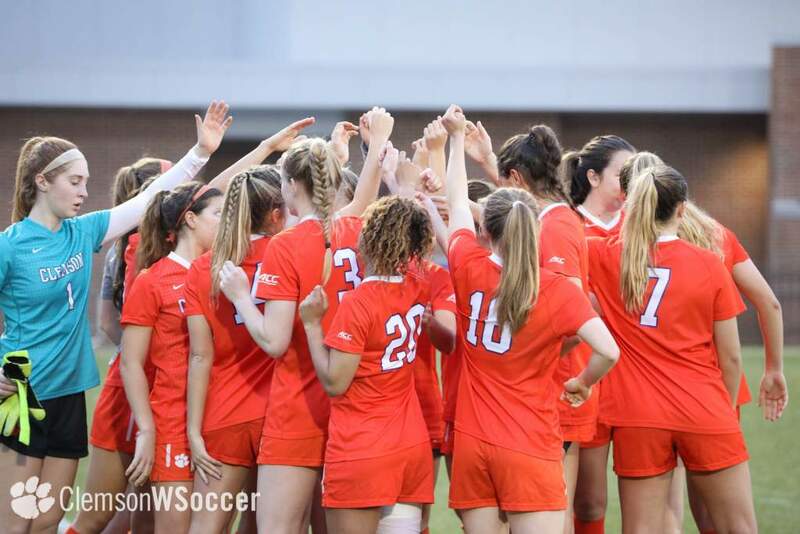 Clemson, SC – The tenth-ranked Clemson women’s soccer team will host Richmond this Sunday at 2:00 in the opening match of the 2001 season for both teams. Clemson is 3-1 all-time against Richmond. Last season, the Lady Tigers defeated the Spiders 1-0 in a match played on October 1 in Richmond, Virginia. In two exhibition games this season, Clemson has tied Auburn 1-1 and defeated Mercer 7-0. The Lady Tigers are 6-1 all-time in season openers with the only loss coming to North Carolina in 1994, the Lady Tigers first year as a soccer program. In 2001, Clemson returns eight starters and 20 letterwinners from a team that won the ACC Regular Season Championship and advanced to the Final Eight of the NCAA Tournament last season. Head Coach Todd Bramble will be in his first season at the helm of the Lady Tiger program after spending five years as an assistant coach with the Clemson men’s soccer team and one year as the head coach at Butler. Looking at Richmond–Richmond returns eight starters and 15 letterwinners from a team that finished 13-7 overall last season and 6-2 (third) in the Colonial Athletic Association Conference. The Spiders advanced to the second round of the NCAA Tournament where they lost 4-0 to number-two seeded Nebraska. Richmond is coached by Peter Albright who has a 59-40-4 record in five years with the Spiders and a 220-121-26 mark in 20 years of coaching. Series with Richmond–Clemson is 3-1 all-time against Richmond. Last season, the Lady Tigers defeated Richmond 1-0 in a match played on October 1 in Richmond, Virginia. Clemson in 2001 preseason rankings–Clemson is ranked 10th by Soccer America and 12th in the NSCAA poll. The Lady Tigers are ranked 11th by Soccertimes.com. 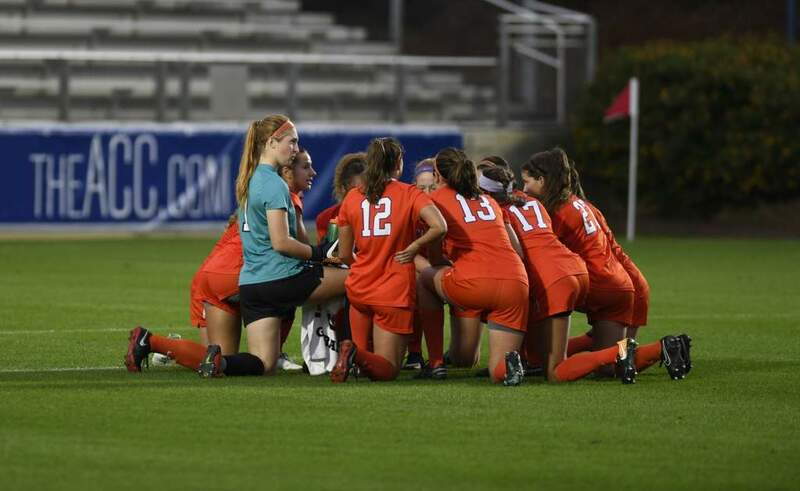 Clemson in season-opening matches–In Clemson’s seven years of fielding a women’s soccer team, the Lady Tigers are 6-1 in season opening matches. The Lady Tigers are also 6-1 when playing its first match of the season at home. Clemson in preseason action–In exhibition matches, Clemson and Auburn tied 1-1 on August 19. On Saturday, August 25, Clemson defeated Mercer 7-0. Clemson’s 2000 record–Clemson finished the 2000 season with a 19-3-1 record overall and a 5-1-1 mark in the ACC. Clemson in 2000 national rankings–Clemson was ranked seventh by Soccer America and fifth by the NSCAA and soccertimes.com at the conclusion of the 2000 season. The Lady Tigers were also ranked fifth by SoccerBuzz. Lady Tigers won ACC Regular Season Championship in 2000–Clemson and N.C. State tied 0-0 in Raleigh, NC on Sunday, October 22. With that tie, Clemson won the Atlantic Coast Conference regular season title with a 5-1-1 record in league play. It was the first time in school history that Clemson had won the regular season title. Three current Lady Tigers named All-ACC in 2000–ACC regular-season champion Clemson led the 2000 All-Atlantic Coast Conference women’s soccer team with four first-team selections, as voted upon by the league’s eight head coaches. Three of those players will be competing for the Tigers again this season. 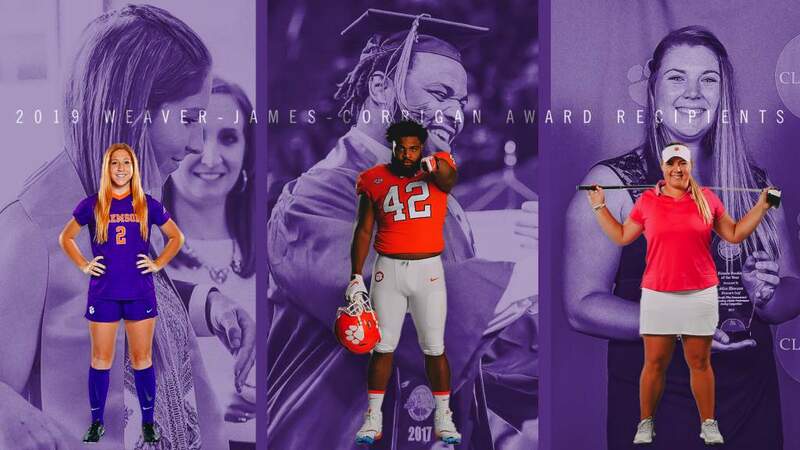 The Clemson players chosen to the first team were Nancy Augustyniak and current players Deliah Arrington (junior forward), Lindsay Browne (sophomore forward), and Katie Carson (senior goalkeeper). Clemson’s Lindsay Browne named ACC Freshman of the Year in 2000–Current Clemson sophomore Lindsay Browne was named the 2000 ACC Freshman of the Year. Browne, a native of Encinitas, CA, led the Tigers in scoring with 13 goals and 12 assists for 38 points. She started all 23 games for the team and scored seven game-winning goals. Browne was selected to Soccer America’s Team of the Week on August 30 and was named ACC Player of the Week on September 25. 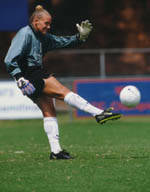 Lindsay Browne named National Freshman of the Year in 2000–Clemson’s Lindsay Browne was named Soccer America’s Women’s Freshman Player of the Year for the 2000 season. Browne led Clemson in scoring last season and became the first Clemson women’s soccer player to win a national award. 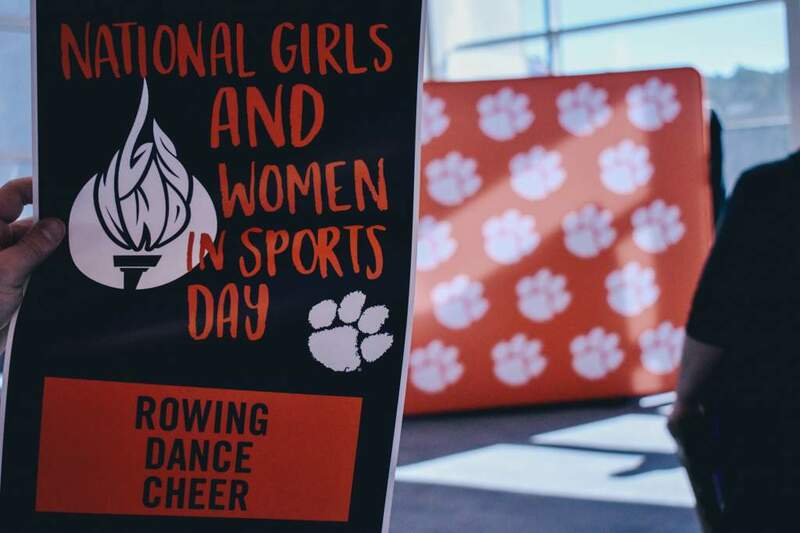 Clemson ties the school record for most ACC wins in a season in 2000–The Lady Tigers tied the school record for ACC wins in a season with five ACC victories last season. Lady Tigers break the school record for most victories in a season in 2000–Clemson won 19 matches in the 2000 season. The Lady Tigers broke the school record for most victories in a season with the 19 wins. The previous best was 16 victories in the 1998 season. Lindsay Browne led the Lady Tigers in scoring as a freshman last season–As a true freshman last season, Lindsay Browne scored 13 goals and had 11 assists and led the Lady Tigers with 38 points. She had seven winning goals on the season. Current junior Deliah Arrington had 12 goals and 10 assists for 34 points. Arrington also had six winning goals last season. Goalkeeper Carson had 10 solo shutouts in 2000–Clemson’s senior goalkeeper, Katie Carson had 10 solo shutouts and allowed only 14 goals in 23 matches last season. She had a 0.63 goal allowed average and recorded 59 saves.